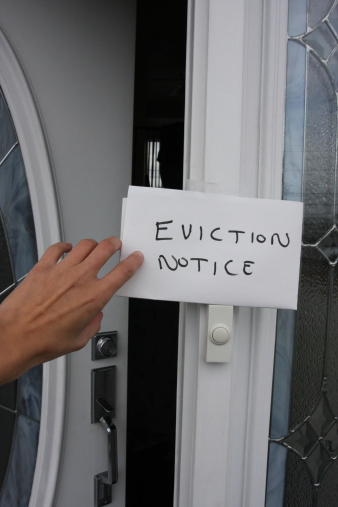 Can You Evict Tenants for Renting Out Their Apartments for Short-Term Use? April 20, 2016 April 20, 2016 / Bonnie Maly, Esq. A recent decision from the Appellate Department of the Los Angeles Superior Court (Chen v Kraft (2016) 243 CA4th Supp 13) allowed a landlord to evict a tenant for running a transient occupancy (short-term rental) business out of his residential rental unit in Los Angeles. If you read this case too quickly, you might think it applies to any situation in which a tenant runs a short-term rental business from an apartment in California. But not so fast! In Chen, which affirmed a summary judgment granting possession to the landlord, the lease explicitly gave written permission allowing the tenant to host guests through the website at airbnb.com at the tenant’s discretion, without it violating any rental lease restrictions that otherwise existed in the lease—quite an uncommon lease provision! But even though it wasn’t a violation of the lease, the tenant’s activity ran afoul of local ordinances regulating short-term rentals. The court held that when a tenant violates such ordinances by using his or her unit for transient occupancy and receiving income from it, the landlord may bring an unlawful detainer action after giving a proper 3-day notice under state law (CCP §1161(4)) if the tenant fails to cease his or her violation of the ordinance. It seems simple enough. But what happened to the lease provision allowing the tenant to make money by doing short-term rentals? The court found that the local ordinances made that provision an illegal contract, which was unenforceable by the tenant, who then couldn’t defend the eviction on contractual grounds. The explosion of online vacation rental services has prompted many localities to adopt ordinances regulating the activity, but here’s the catch: they are largely lacking in uniformity. Transient or short-term occupancies may be outright prohibited or merely regulated by local zoning or housing codes, or both. In jurisdictions with rent control and a short housing supply (i.e., urban areas), ordinances often create very complex regulations aimed at reducing the loss of affordable, long-term rental housing units from the market. In other places (i.e., the suburbs), it may only be a matter of zoning out short-term renting from certain neighborhoods. And in some instances, a local ordinance may require a notice period longer than the three days required by state law for the tenant to cease his or her violation of the local law. Indeed, under San Francisco Residential Rent Stabilization and Arbitration Ordinance §37.9(a)(4), a landlord may not evict a tenant for illegal use of the unit based solely on a first-time violation of SF Adm C §41A (restricting short-term residential rentals) if the violation is cured within 30 days of written notice to the tenant. This area of practice has so many twists and turns, it can make your head spin. Before advising clients on this, check out CEB’s California Landlord-Tenant Practice §§3.56, 4.38, 4.40A, 4.50F, 7.62, 8.67–8.68 to help you carefully analyze the complex legal issues in short-term renting. Can’t believe I missed this case. Thanks, Bonnie Maly!